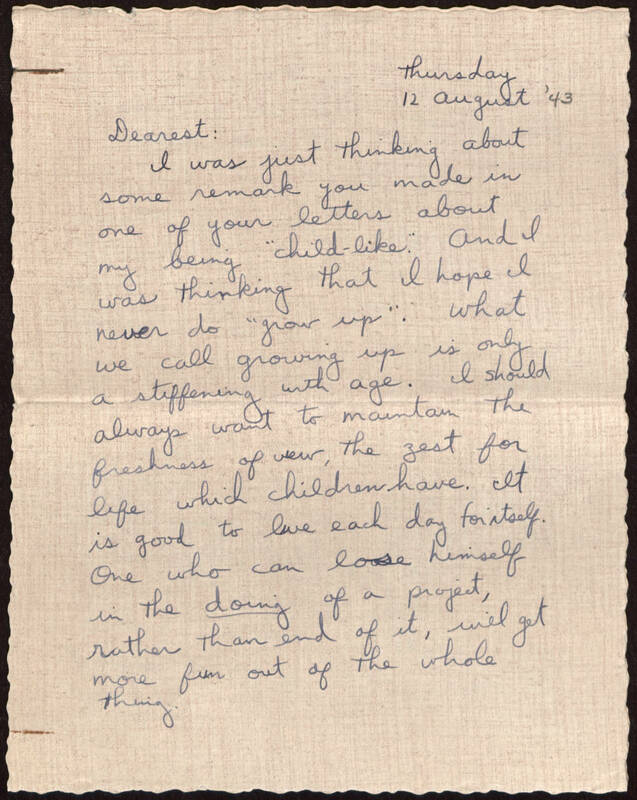 Thursday 12 August '43 Dearest: I was just thinking about some remark you made in one of your letters about my being "child-like". And I was thinking that I hope I never do "grow up". What we call growing up is only a stiffening with age. I should always want to maintain the freshness of view, the zest for life which children have. It is good to live each day for itself. One who can lose himself in the doing of a project, rather than end of it, will get more fun out of the whole thing.